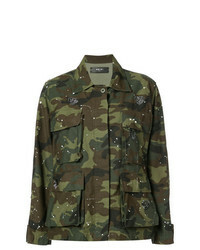 Amiri Military Jacket £1,055 £2,111 Free UK Shipping! 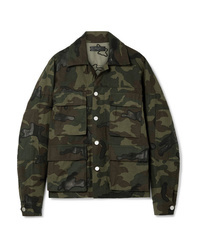 Herschel Supply Co. Herschel Voyage Packable Coach Jacket Back In Camo £75 Free UK Shipping! 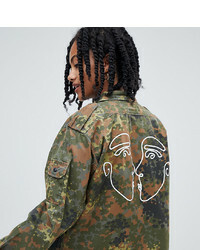 Reclaimed Vintage Revived Cropped Camo Jacket With Faces Print £55 Free UK Shipping! 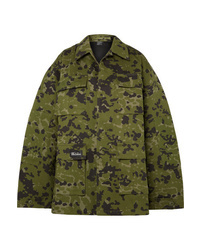 Current/Elliott Camouflage Patch Jacket £248 £497 Free UK Shipping! 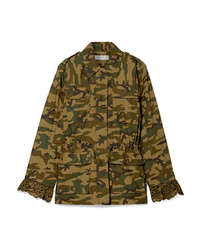 Amiri Camouflage Print Jacket £1,106 £2,212 Free UK Shipping! 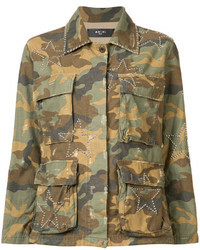 Forte Dei Marmi ... Embellished Camouflage Military Jacket £230 £461 Free UK Shipping! 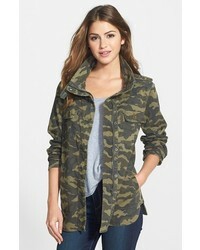 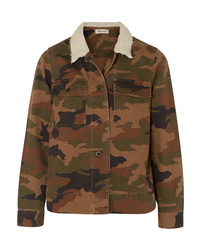 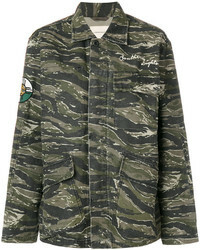 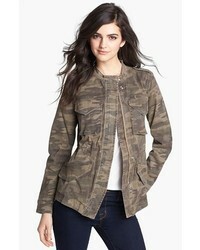 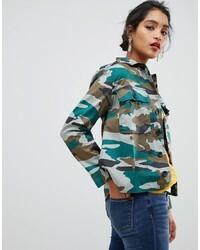 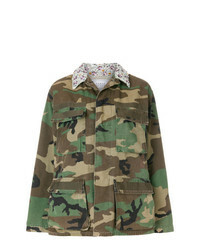 J.Crew Mercantile Camo Jacket £46 Free UK Shipping!